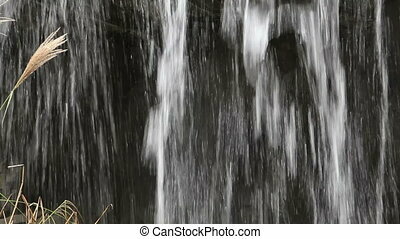 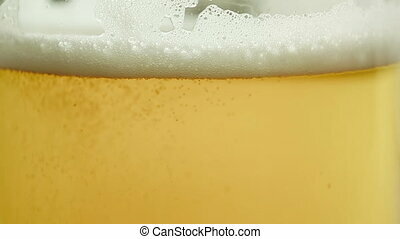 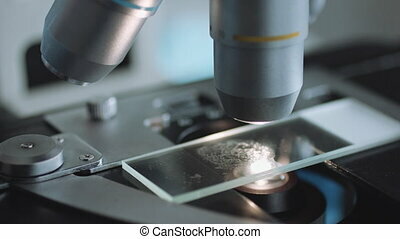 Close up view of glass under microscope. 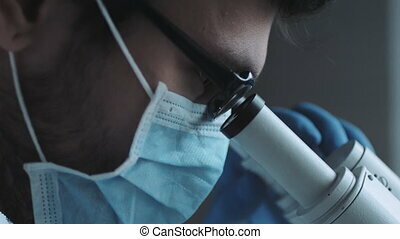 Close up view of scientist hands with gloves set the sample in the microscope for research. 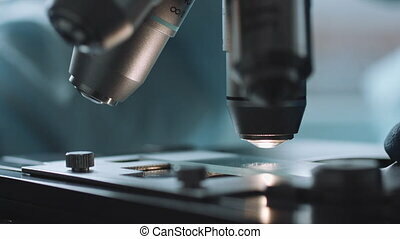 Close-up of medical equipment painting cells for viewing under a microscope. 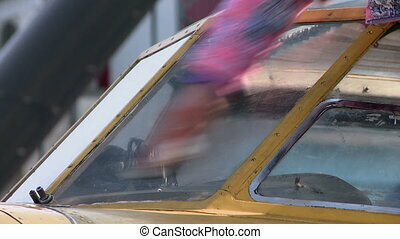 Close-up view of Devil firefish. 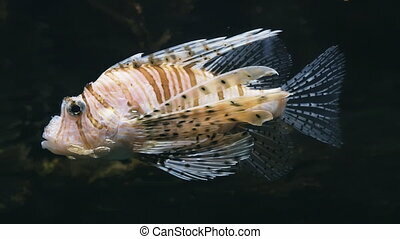 Pterois miles. 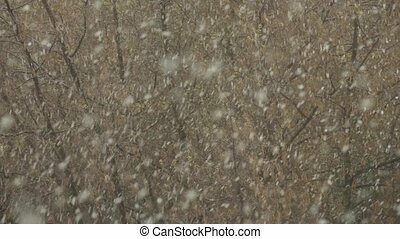 Close up of a tree under the snow in spring time. 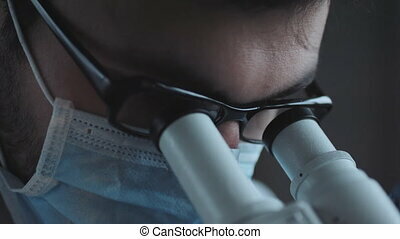 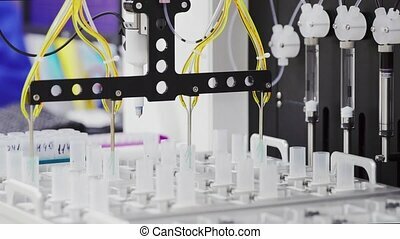 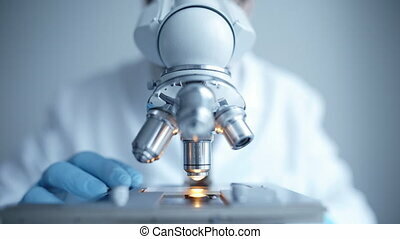 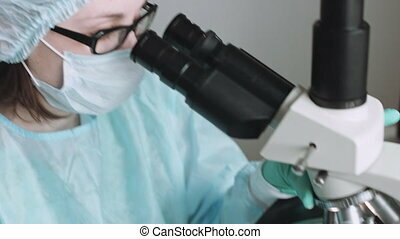 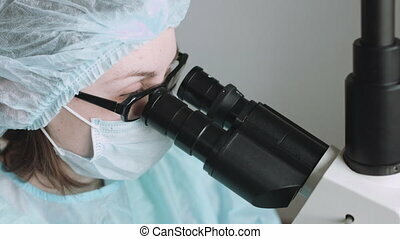 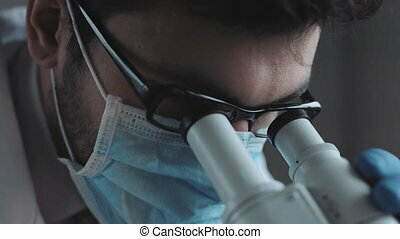 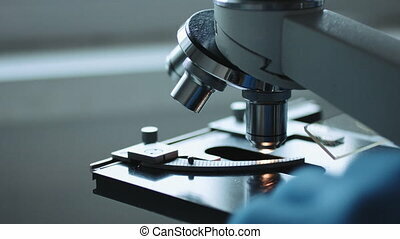 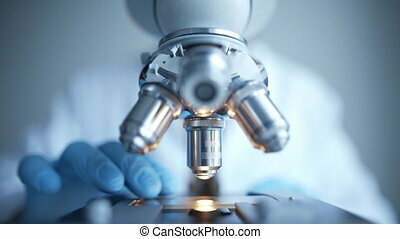 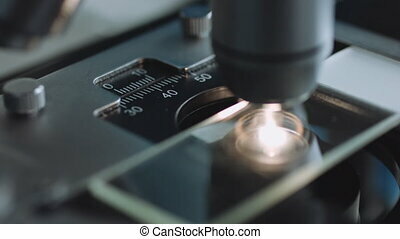 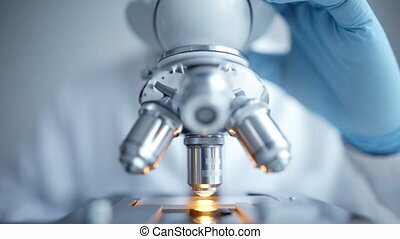 Close up view of scientist eye in glasses looking at microscope. 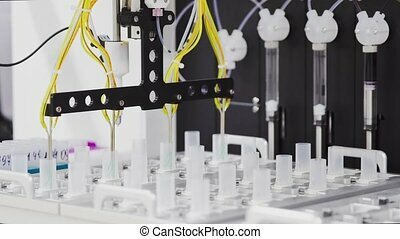 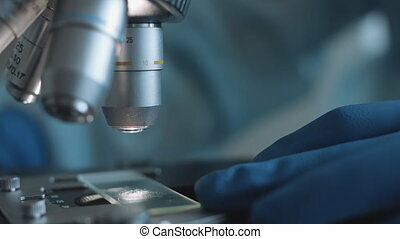 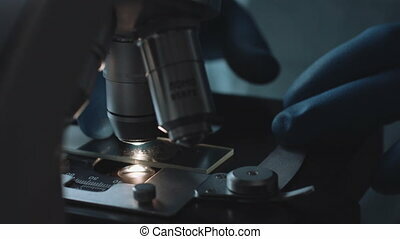 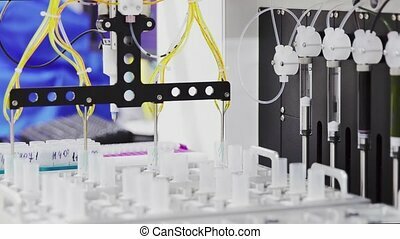 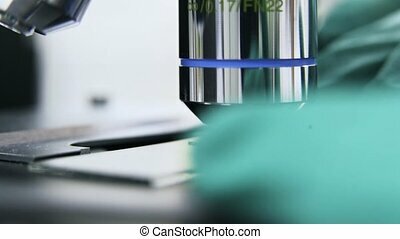 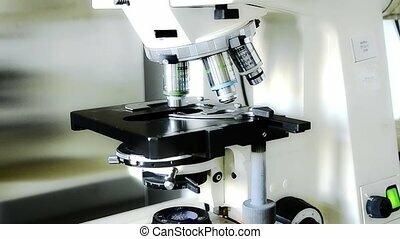 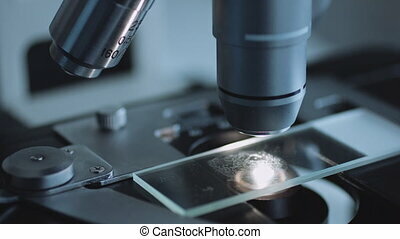 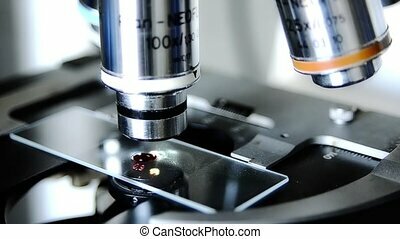 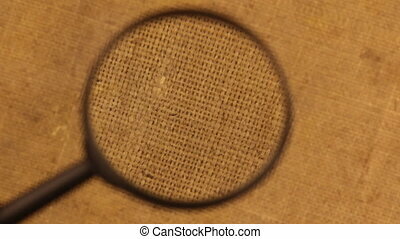 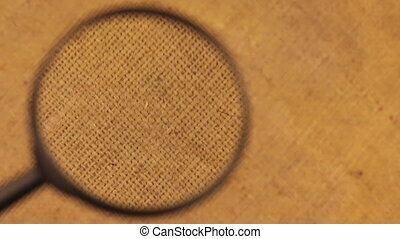 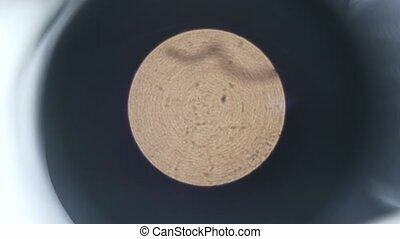 Close up of examining of test sample under the microscope in laboratory.